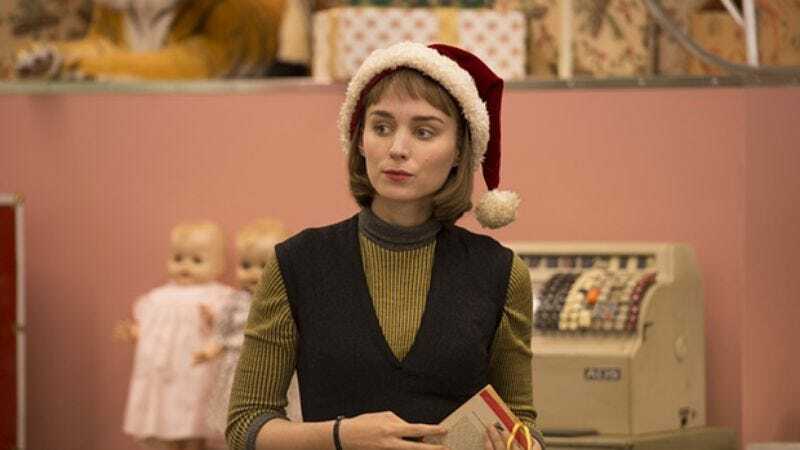 Carol star and former dragon-tattooed girl Rooney Mara is in talks to play a film version of Mary Magdalene, Christianity’s most celebrated washer of feet. Joining the ranks of actresses like Monica Bellucci, Barbara Hershey, and Anne Bancroft—all of whom have portrayed the Smurfette to Jesus’ Papa Smurf over the years—Mara is set to star in a biopic about the Biblical figure. The film, which is being described as a “biopic,” is being directed by Garth Davis, a relative newcomer whose previous credits include the Elisabeth Moss-starring Top Of The Lake and the recently completed Lion, also starring Mara. Now, the two of them are working together again, presumably because nothing says “fun project” like wading into the public relations hornet’s nest of casting the part of a historically Middle Eastern woman—from the Bible, no less—with an actress who looks like the “Before” pic in a photo advertising a tanning salon.